Have Old Printers You Want To Sell? We Pay You For Your Used Laser Printers! SellYourPrinters.com specializes in the purchase and resale of used laser and dot matrix printers. 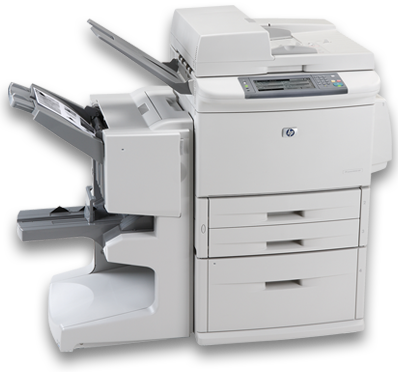 We are constantly looking for businesses that want to sell their used HP, Lexmark, Okidata, and Epson printers. Let us help you recoup some of your IT costs and avoid filling landfills needlessly, Sell Your Printers! One of the major issues facing IT departments today is the proper disposal of electronic equipment. In many places it is law that the equipment be handled by a certified recycler. We meet those qualifications even though we don't recycle the equipment in the traditional way. We work with our partners in the service industry to reuse many of the parts in the printers you sell to us instead of just scrapping the product. We are also not a traditional recycler in that WE PAY YOU to recycle your electronics rather than the other way around. With SellYourPrinters.com you can 'Go Green' without it costing you any green to do so. We pay you! That's right, unlike recycling businesses that charge you to take away your old printers we pay you for the privilege. How can we do that? We leverage our relationships with manufacturer's authorized repair organizations who need your used printer parts to fulfill their service obligations, to get you the best price possible for your old equipment. Sellyourprinters.com provides a truly unique solution for your equipment removal needs. They need the parts. You need to get rid of printers. We help facilitate the transaction. It's that simple. With our long standing, wide ranging industry ties, Sellyourprinters.com has the depth of resources to be able to promise our customers the best possible price in the shortest amount of time for their printers. We always promise to get you a quote within 24 hours from your initial inquiry. We feel that it is not just our unique business model but also our commitment to customer services that makes us a truly unique player in the electronic recycling industry. We look forward to working with you and your retired printers.